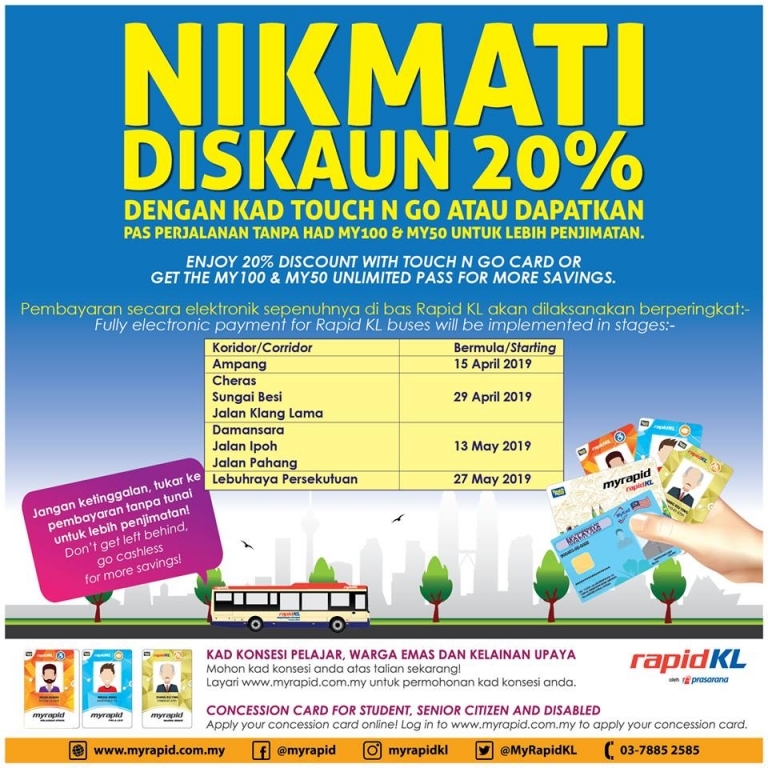 100% Cashless for Rapid KL Bus effective from 15 April 2019!! ⚠️Minimum balance RM3.00 in the card before board the bus. ⚠️Bus card reader will alert ‘error’ if you have insufficient balance in your card. ⚠️Tap the card when boarding bus, tap again when getting off the bus. 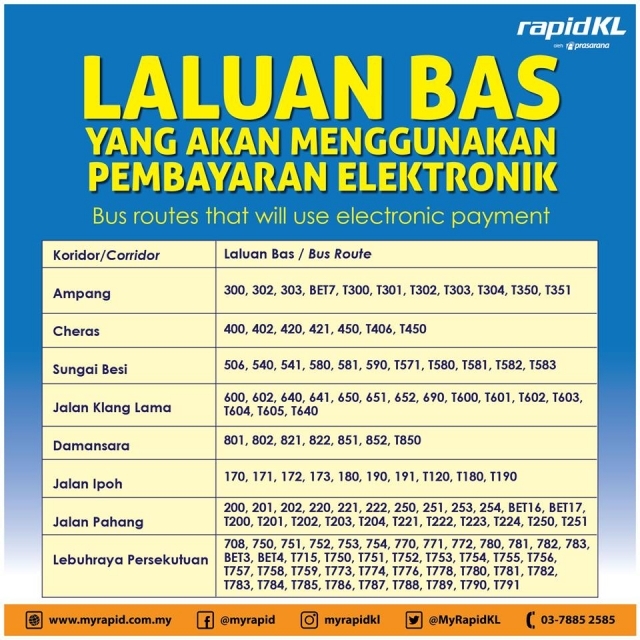 Maximum fare will be charged if you do not tap out when disembarking the bus.